Power House Records brings you another in series various artist compilation 'Progress To Goa Vol.3' Progress To Goa volume 3 is here to continue this mega hot compilation series on Power House Records with 18 new and brilliant progressive goa gems polished to perfection and prepared for massive dance floor pleasure. 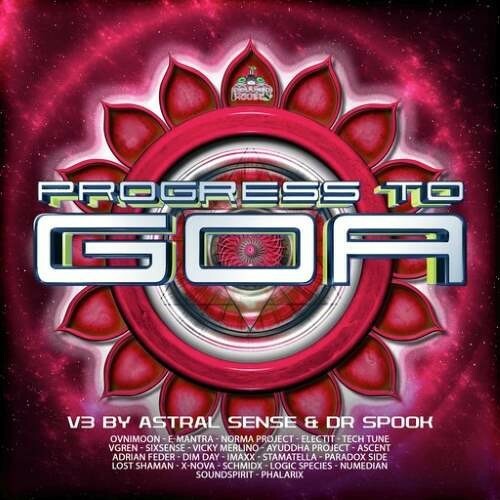 Compiled and selected by psytrance masterminds Dr. Spook and Astral Sense takes you to the journey from sunniest melodic beaches to the farthest places of universe. Always the best and nothing less than amazing joy awaits you. Energetic and melodic bass pumping anthems by Ovnimoon, E-Mantra, Norma Project, Electit, Tech Tune, vGren, Sixsense, Vicky Merlino, Ayuddha Project, Ascent, Adrian Feder, Dim Day, Imaxx, Stamatella, Paradox Side, Lost Shaman, X-Nova, Schmidx, Logic Species, Numedian, SoundSpirit and Phalarix.